Smart home technology is taking over, from voice-controlled lights and heating/cooling systems to scheduled floor cleanings via robotic vacuum cleaners. You can start adding power strips to the list of gadgets that can be automated and scheduled from afar with this Meross Smart Wi-Fi Power Strip. Featuring extra USB ports, WiFi connectivity and smart home support, this power strip is a dream for anyone who happens to be dealing with multiple gadgets that need to be charged, and not enough outlets to get the job done. You can charge up to five devices at once thanks to the three AC outlets and two USB ports. But unlike the average charger, you can control each individual outlet from anywhere via the Meross app — so it's the perfect way to gauge whether a device needs more juice without needing to walk over and unplug the device entirely. That helps you reduce power consumption in your home or office, giving you the ability to turn connected devices on and off (you can even use Amazon Alexa or Google Assistant to active voice commands), set schedules and even activate timer routines. Plus, it works with Wi-Fi you already have in your home — so there's no hub or extra accessories required. 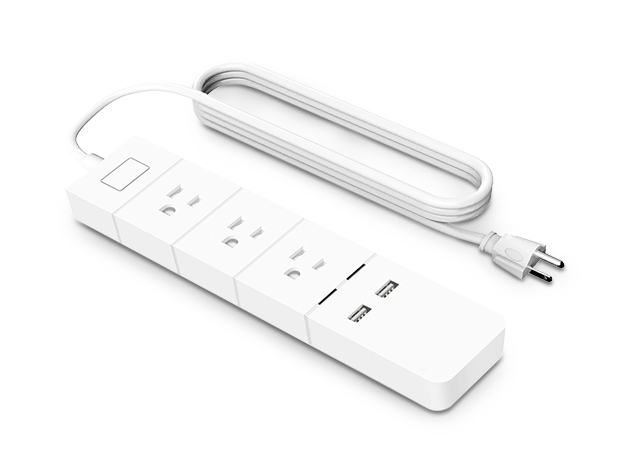 Usually, this Meross Smart Wi-Fi Power Strip is $26.99, but you can get it now for $23.99.